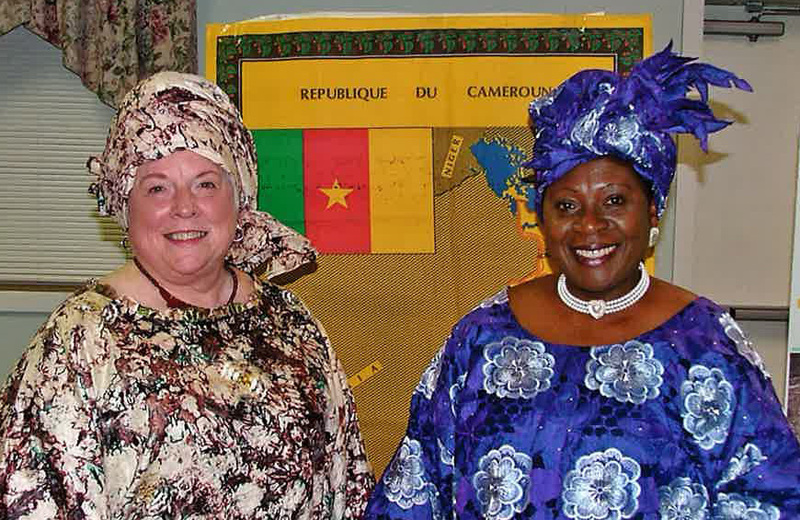 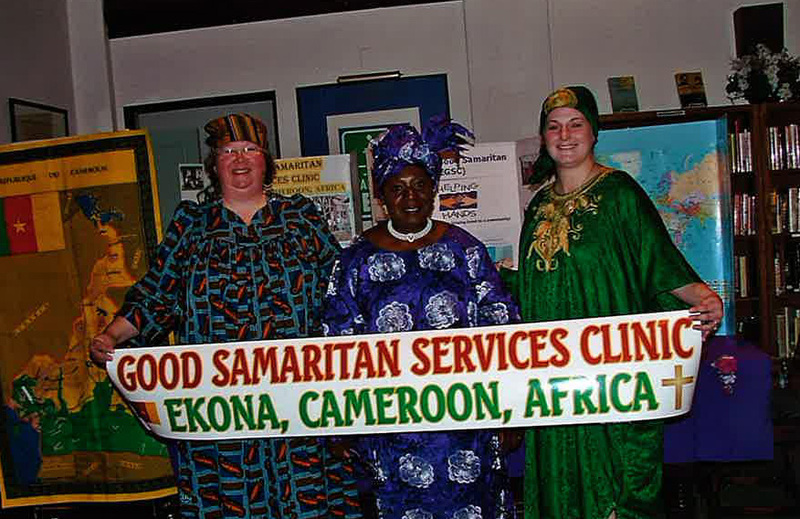 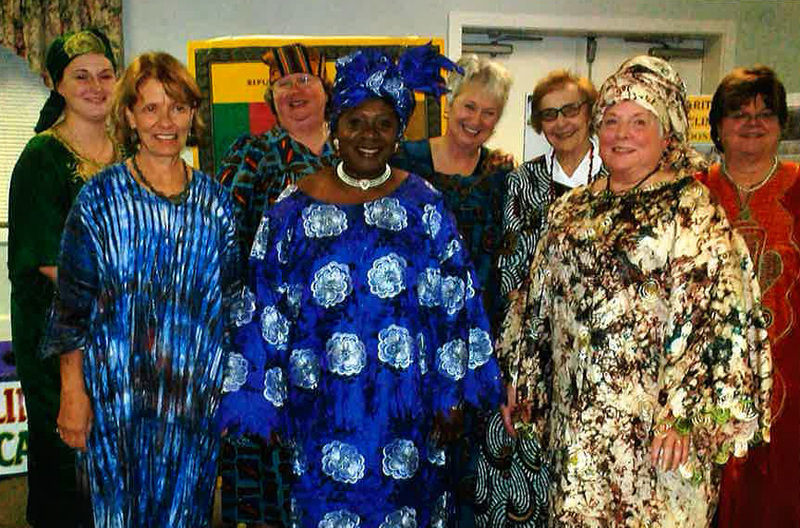 Dressed in this special Cameroon attire are Good Samaritan Health Center committee members and supporters from First Presbyterian Church, Bradford, Pennsylvania USA at a fundraising event. 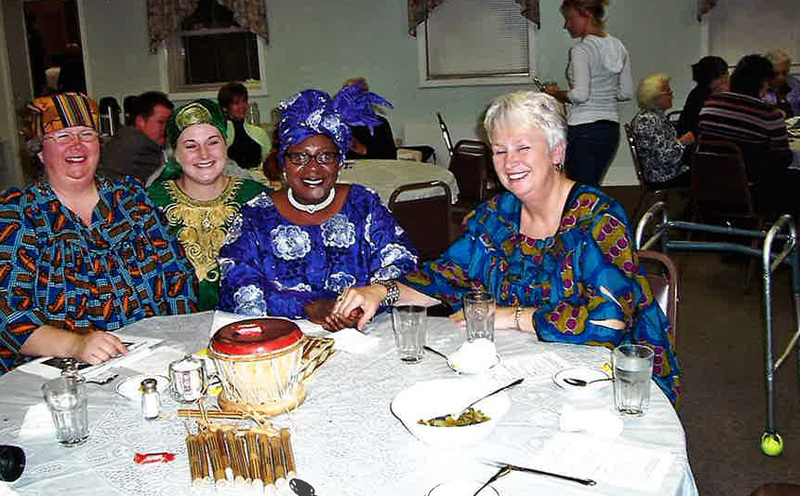 Audrey (left) dressed in her African attire with Christina during a fundraising event in Bradford, Pennsylvania. 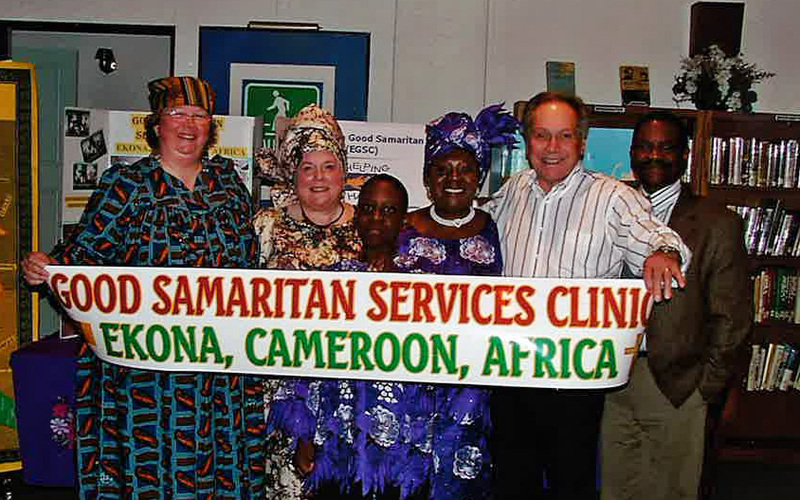 Pastor Lee and wife Audrey from First Presbyterian Church in Bradford Pennsylvania continue to make a difference to the Ekona Community though miles apart. 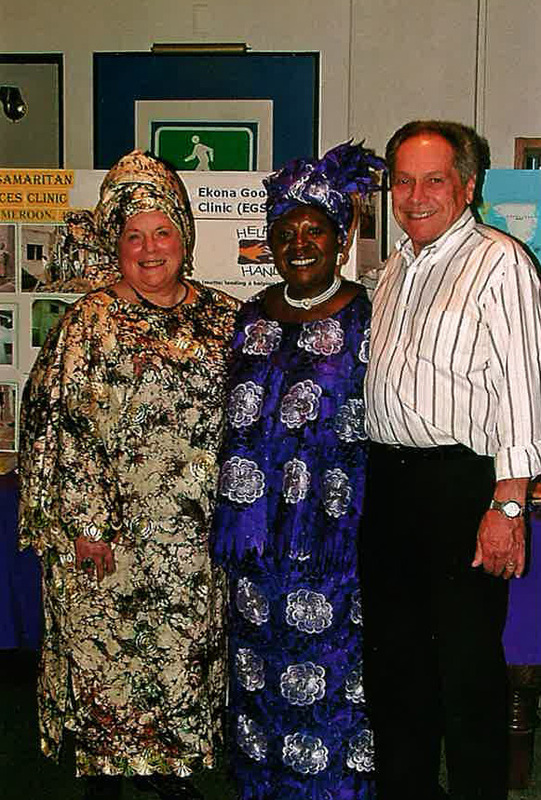 Cheryl on right fascinated with all the African artifacts on display during a fundraising event.